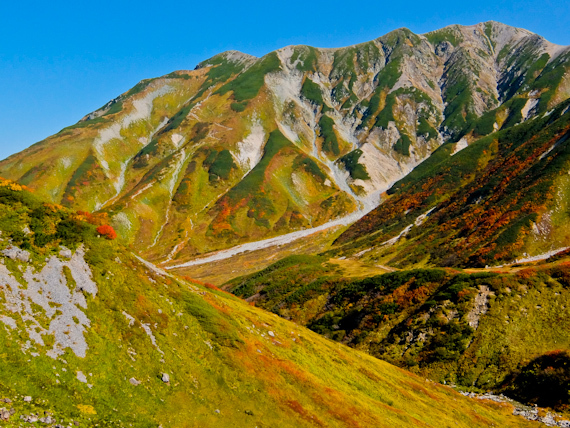 Mount Tateyama is one of the three holy mountains of Japan, after Mounts Fuji and Haku, and a pilgrimage to the top was believed to be the path to salvation. Unfortunately, women were not allowed on its slopes until 1869 – those who tried to climb were turned into cedar trees as it’s said that the female goddess was jealous. 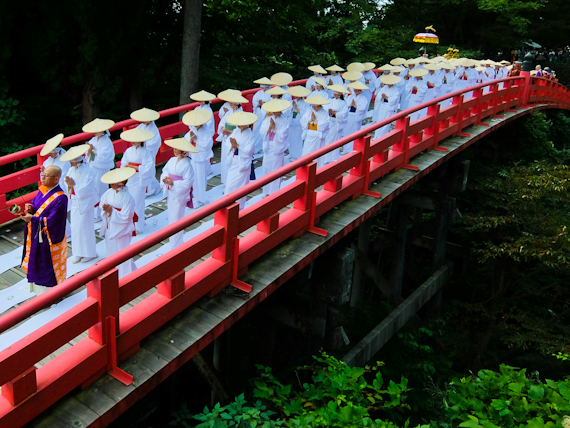 During the Edo Period, from 1603 to 1868, their only way to paradise was to take part in the sacred ritual of Nunobashi Kanjoe, literally “Purification on the Cloth Bridge”. The ceremony disappeared into the mists of time but was revived in 1996 and now takes place every three years. I’ve taken advantage of Japan’s superior railway technology and boarded the bullet train from Tokyo to be here. The mountain dominates the town but in the centre is the red Nunobashi Bridge spanning Sanzu-no-kawa, the Buddhist equivalent of the River Styx. It supposedly connects the material human world to the supernatural home of the gods and will be the centrepiece of the ritual. The day starts with Buddhist monks chanting sutras in the Enmado, the temple to the god of death, asking for protection for the women. 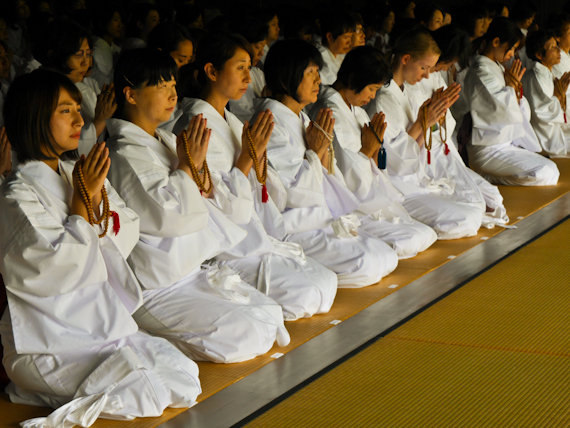 They’re gathering outside, clad in white kimonos, and once they enter, sit and pray for forgiveness of their sins. The chanting continues and monks pass round incense ash from the shrine. The women wipe it across their chests as purification, still deep in prayer. I notice they’re not all Japanese as I see a smattering of European and Chinese faces among the 110 ladies. Apparently they’ve applied via the internet and there’s no requirement to be Buddhist. Rather it’s seen as an opportunity to meet your true self and analyse what’s in your heart and take part in a unique event. 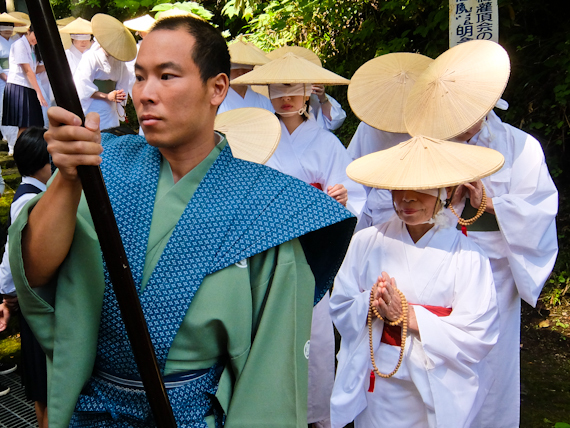 As they leave the temple, for the next phase of the ceremony, they don conical straw hats and are then blindfolded. The hill down to the bridge is steep and uneven and not easy to negotiate when you can’t see. 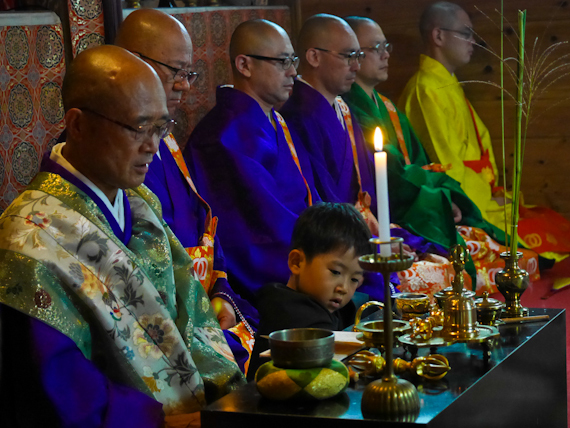 The procession is led by musicians playing Gagaku court music, and the monks at the front throw lotus petal purification papers into the air, clearing the way to the other world. The bridge has been laid with three strips of white cloth and, as they take their first steps to cross, I begin to understand the purpose of the blindfolds. It’s to prevent them looking down and catching sight of demons who will drag them into the river. Fortunately I don’t see any of those today and the women reach the middle of the bridge safely. There, they’re met by monks coming from the other side who will guide them to the afterlife. They lead them over the bridge and then along a path through the graveyard. 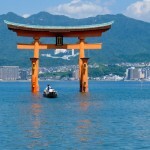 The destination is the Ubado temple, dedicated to Uba, the protector of women. It’s shuttered and dark inside and the monks lead the women in chanting and praying. In the past they would be shedding their past selves and asking for admittance to paradise. These days they just ask for guidance in the future and beg for a new start. It’s strangely moving and one or two of the women go into some sort of trance and begin to babble, others are weeping uncontrollably. At a hidden signal, suddenly the shutters are opened, flooding the place with light, to reveal the three peaks of Mount Tateyama. Paradise is staring them in the face and they’re allowed to untie their blindfolds and take it all in. The monks dispense holy water from the mountain to bless them and spiritual cleansing is complete. When they leave the temple, and retrace their steps over the bridge there’s no need for blindfolds or hats. Apparently they’re now reborn into the human world as new people with new souls and have nothing to fear, not even those pesky demons. I begin to understand that the ceremony is a ritual enactment of death and rebirth. It still appears to have some relevance today, as over a vegetarian lunch, I hear much talk of spiritual enlightenment. Feeling inspired, in need of salvation myself, I set off for the holy mountain. These days you don’t need to walk all the way. Instead, I take a cable car and then a coach, all part of the Tateyama Kurobe Alpine Route, to Murodo. The top of the mountain is clearly visible, topped by a temple, with its lower slopes a riot of bracken, turning glorious shades of brown as autumn approaches. A paved causeway leads uphill to the lodge at 2700m where I catch the last rays of sunlight before settling in for the night. Next morning, it’s up at 4am to climb the steep rocky path to the summit, my path lit dimly by the light of my head torch. The air is thin, at 3000m, and I’m struggling with my breathing. 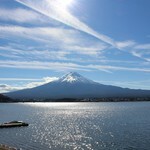 First light gradually reveals the mountains around me, including Mount Fuji in the far distance. 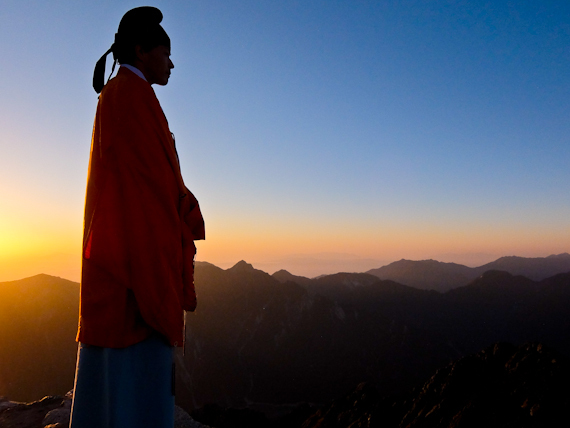 As I near the shrine on the summit, I make out a solitary monk facing the direction of the sunrise. I’m not quite sure what the relevant protocol is but I end up kneeling in front of him. He mutters something in Japanese and then passes me a cup and I drink. A sip of sake is a reasonable reward for climbing the stairway to heaven. The next Nunobashi Kanjoe festival is in September 2020. It’s a two hour bullet train ride from Tokyo to Toyama, then a 25 minute bus or taxi journey to Tateyama. 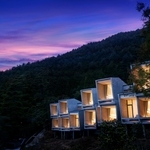 The Tateyama Hokusai Hotel is a comfortable base for a stay in Tateyama. The Tateyama Kurobe Alpine Route is open from May to November but you should take a guide if you’re going to climb the mountain.